Feeling inspired to start a business, but don’t know how to write a business plan? We have a business plan samples database that you can look through to learn the different chapters and sections necessary to attract equity investments and loans. 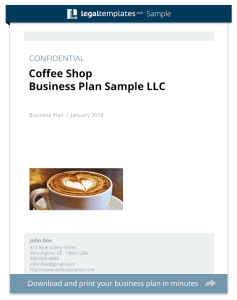 Although our business plan examples are specific to each industry, keep in mind that every business plan sample will be unique depending on your location, your customer base, and your own vision, so these will only serve as a starting point for you and your dream. Make a free business plan. View business planning resources and tips.